In Luque there is a real lack of social programmes to support families in need and educate parents so that they can ensure a better future for their children. Illiteracy still affects almost 30 per cent of the rural population, many of whom migrate to Asunción in search of work. Children in our care grow up with their brothers and sisters in a loving home (photo: A. Alvarez). 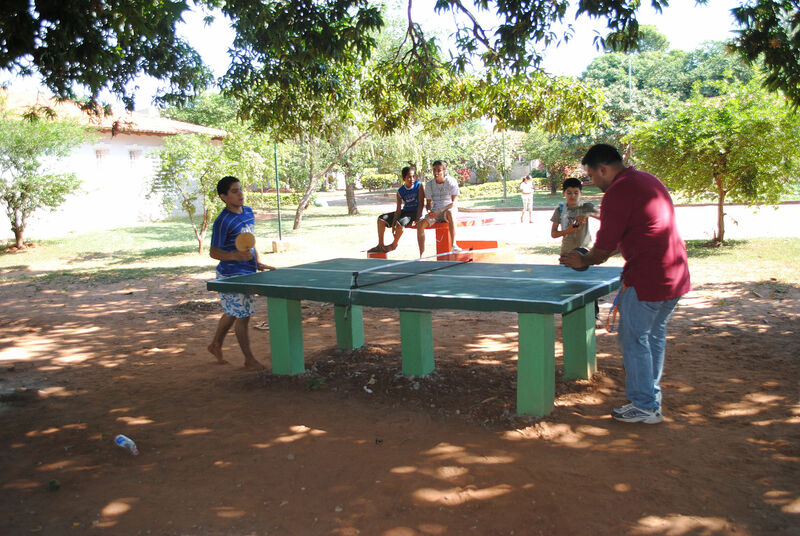 SOS Children’s Village Luque is located in the small town of the same name about ten kilometres from Paraguay’s capital, Asunción. It is our second programme in this area and was set up due to the great need for support here. Asunción has a population of around 540,000, making it the country’s largest and most populous city. Over half of the population is under the age of 30. It is located in the west, near the Argentinian border, on the River Paraguay. It is the country’s economic centre and has a growing financial sector. Asunción is very much a divided city: while on one riverbank, there are large family homes with nice gardens, on the other riverside – in the “Bañados” area – unpaved roads and unsafe housing prone to flooding characterise the cityscape. Poverty is a huge problem, with thousands of rural families migrating to the city each year in search of employment. Official government figures show that unemployment is at around seven per cent, and underemployment is as high as 20 per cent on average. Almost 60 per cent of the population stated that they work over 45 hours a week. These figures show that even if people are able to find some employment, it is probably informal in nature and they are not able to make enough money to support their families, hence the long hours. The majority of the migrants living in these impoverished urban areas are unable to find work and live in precarious makeshift housing lacking basic infrastructure. Many make a living by collecting and selling on rubbish. In fact, in Bañados only around one in ten people has formal work. It is common that even the youngest members of a family have to contribute financially, and 13.6 per cent of children between the ages of 5 and 17 work an average of 35 hours per week. This exposes children to immediate threats such as health hazards, vulnerability to violence, sexual exploitation and psychological problems. But in addition, it has severe effects on children’s lives in the long-term, as child labour interferes with education, therefore jeopardising their chances as adults. Playing in SOS Children's Village Luque (photo: A.Alvarez). 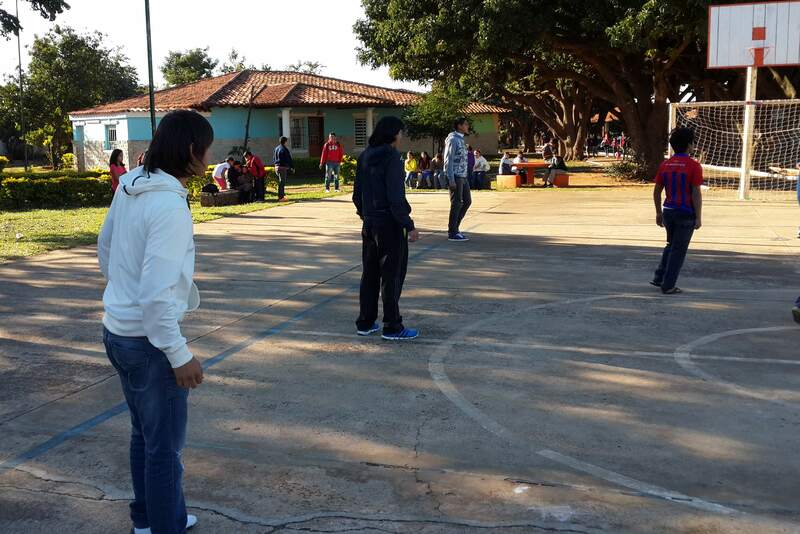 SOS Children’s Villages began its work in Luque in 1997. For children from the region who are no longer able to live with their parents, 14 SOS families can provide a loving home for up to 117 children. In each family, the children live with their brothers and sisters, affectionately cared for by their SOS mother. Since 2011, our family strengthening programme supports families so that they can stay together. We work with local authorities and other agencies to ensure that children are cared for, that they can go to school and visit the doctor. Each family receives different help and, in some cases, parents are taught new skills so that they can generate an income. There is also a school here in Luque which provides primary and secondary school education to around 500 pupils. It was founded as an SOS Hermann Gmeiner School, but is now run by local authorities.